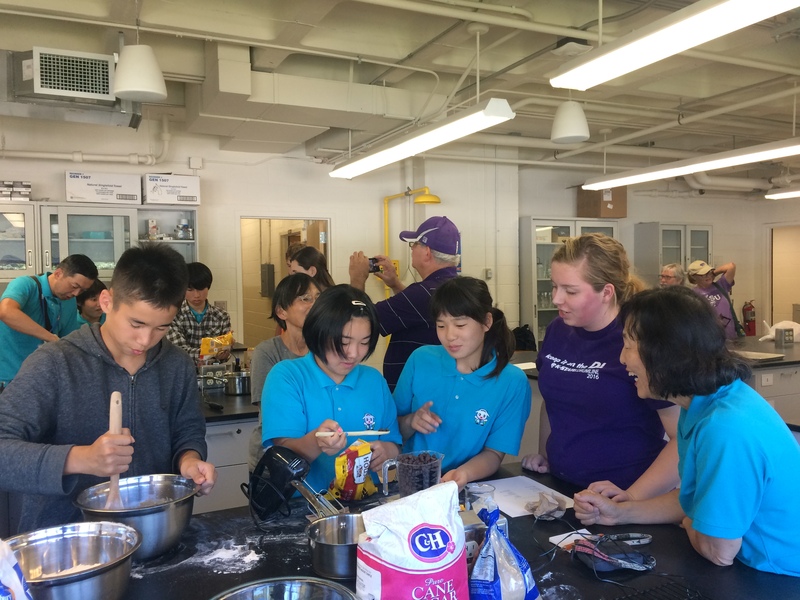 Through an international study abroad journey from China to the United States, PhD student, Ziyi Linghu discovered her passion for food science and industry and fatefully made her way to Kansas State University. Originally from Shanghai, China, Linghu focused her schooling around biochemistry and technology. It wasn’t until she studied at the University of Minnesota Twin Cities for her master’s degree that she realized she was missing out on a whole new world that interested her: food science and industry. In fact, it was at one of these events that Linghu got connected with K-State. During her attendence at an IFT conference, Linghu crossed paths with Dr. J. Scott. Smith, where they had a lengthy discussion about her passion for chemistry. 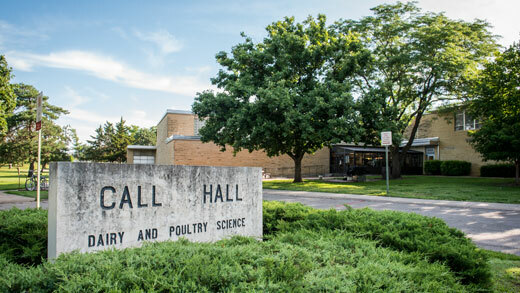 It wasn’t long after her interaction with Dr. Smith that Linghu landed in Manhattan, Kansas at the doors of The Food Science Institute in 2014. 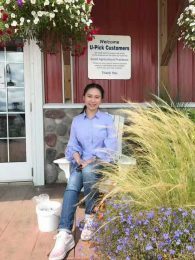 For the last seven months, Linghu spent her time in Battle Creek, Michigan interning with Kellogg’s as a food chemist, a position she described as an amazing experience. 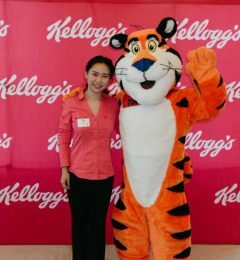 Last fall, Kellogg’s made the visit to K-State to seek potential employees and interns. Currently, Linghu is researching food chemistry and toxicology, specifically food carcinogens in cooked meat. Why is it being formed in meat, and how can we alter food ingredients to reduce food carcinogens? Linghu spends much of her time finding strategies to reduce the formation in cooked meats. Beyond her research studies, Linghu has teamed with master’s student, Yuda Ou, to compete in a food science competition regarding food marketing in China. The goal of the competition is to launch an innovative food product that fits the healthy snack trend. 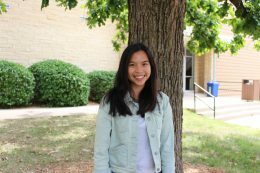 Additionally, Linghu is a member of the food science club and acts as a coach for the K-State graduate school research forum. Her teammate Yuda Ou believes that Linghu is a very talented and goal oriented team player. “She understands how to combine her in-depth food science knowledge in the current food market trends in an innovative way to create a unique product,” Ou said. Despite her busy schedule and packed-on extracurriculars, Linghu finds time to relax and unwind doing the things she loves. It’s certainly clear from Linghu’s classmates and superiors that she is an outstanding individual in the K-State food science community. Because of her, others are motivated to learn more, do more and think more creatively about food science and industry. We are eager to witness the amazing things Ziyi Linghu will complete in her upcoming years. We’re almost halfway through the semester, but things are just starting to heat up for the food science club this spring. Just right around the corner on April 7 will be the all-university open house. This year, the food science club will be hosting numerous interactive stations for guests to learn, engage and participate in. For starters, our food science club will be inviting visitors to stop by Call Hall 156 to partake in a sensory taste test. Those who complete the test will receive a raffle ticket and be entered to win for a prize. 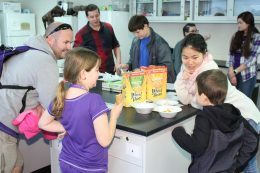 Other agenda items include a product development station, a recruitment station and many fun experiments for kids and families to perform together. This year we will host our classic corn starch slime project as well as a germ experiment using hand sanitizer and UV light. The day will be a fun time for visitors to branch off an explore the many areas of food science. Another exciting event coming up for the food science club is the College Bowl Regional Competition. The event will take place in Columbia, Missouri on April 13-14. Our food science team has eight students competing this year: Nathaniel Brown, Ziyi Linghu, Yuda Ou, Mostafa Taghvaei, Bade Tonyali, Priyamuada Thorakkattu, Bennett Uhl and Wei Wu. The questions relate to food science trivia including topics such as food science and technology, food processing, food law and more. Our group will compete against six or seven other universities in the region, and the winning teams will go on to compete in the Annual Meeting. All finalists receive a $100 travel grant. The national champion earns a $1000 award, and the runner-up a $750 award. “Yuda and I are coaching the team together,” Mostafa Taghvaei noted. 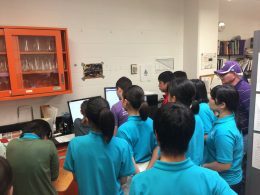 “Our hope is to encourage students to learn more about Food Science during preparation for this fun competition.” The team meets weekly to practice with Quiz Bowl-type questions. 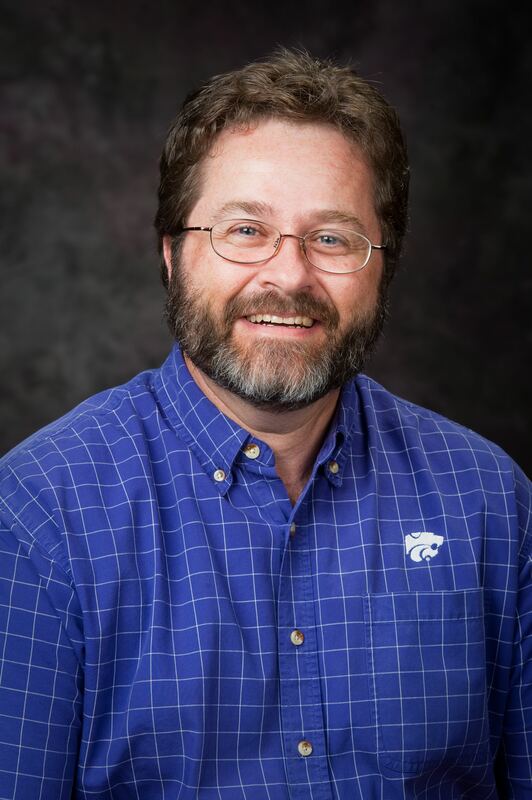 Team member, Bennett Uhl commented, “I am really looking forward to representing K-State at a contest for knowledge of food and food science.” The team will continue to work hard to prepare for the competition in the upcoming weeks, and we look forward to see how far they will make it in the competition. Good luck students! Growing up in an “international family” made it easy for Karina Desiree to travel to the United States to pursue her college education. Karina grew up in Jakarta, Indonesia her whole life and attended an IB international school that required students to learn English. She always knew she would attend a university in the United States, and although miles away from home, the idea never instilled the slightest bit of fear. Karina came straight to K-State after graduating from Purdue last May. She is currently a Food Science graduate student with an emphasis in Food Microbiology under Dr. Jessie Vipham and has been helping out in Dr. Phebus’ labs. Karina has found her new home at K-State to be very comfortable. Although only being here for a month, she has adapted to her surroundings very well. 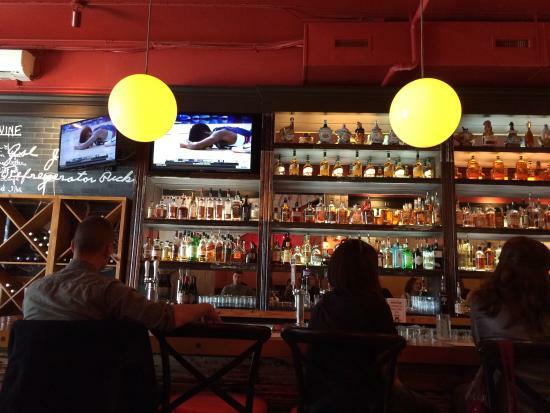 “I’m used to the college town. Manhattan is a lot smaller than Purdue, but the atmosphere is very similar. It’s very quiet and relaxing here, very suitable for studying. 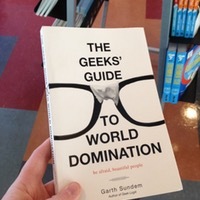 I like it here because I’m easily distracted,” Karina laughed. When she’s not busy helping out in food science classes, Karina spends her time singing in her church choir and gardening. She even has an impressive succulent collection and names her succulents after microbes! Now THAT is a dedicated student! Welcome to K-State Karina! Dr. Randall Phebus has long had a love for food science. In fact, it all began as he was growing up. In 1981, he enrolled at the University of Tennessee (UT) as an Animal Science major, with the goal of applying to UT’s College of Veterinary Medicine. A chance meeting with a faculty member in food science, however, changed Phebus’ path for the better. 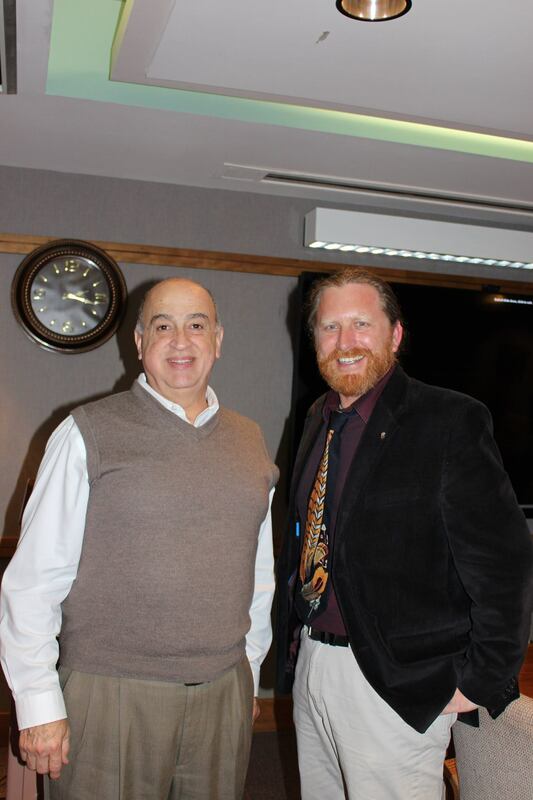 In 2013, won the Elmer Marth Educator Award through the International Association for Food Protection. He cites it as a favorite teaching moment, thanks in part to those involved in making it all happen. “My former students put most of the nomination package together for selection committee evaluation, and a panel of my peers in food safety with many years of teaching at universities around the world made the determination,” said Phebus. It is with sincere gratitude and humbleness, and simultaneous excitement and determination, that I begin working as the Interim Director of the Food Science Institute (FSI). 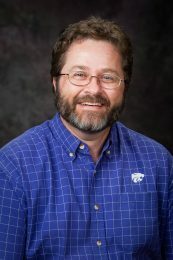 I know that everyone associated with the FSI has the goal of making the K-State food science program the best in the land, and I look forward to working with everyone, including our wonderful alumni, to continue to improve our program and the impact the Institute has on our students and stakeholders. 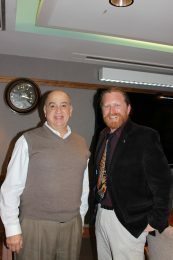 First, I want to recognize and thank Dr. Curtis Kastner for the 15 years he spent as the FSI’s founding director. His passion for students and the development of FSI programs was phenomenal, and provided a very solid foundation for our future. He’s now officially an Emeritus professor and has assured me that he will continue to support our FSI efforts. Thanks also to Dr. Ken Odde and Elsa Toburen for taking care of the FSI shop over the past several months. Elsa is a “rock star” in the way she oversees and coordinates our business office activities. We have very important business to accomplish for the FSI, and particularly for the undergraduate program. This includes a continued reevaluation of our B.S. curriculum (course offerings, course content, and scheduling and sequencing), and thanks to Dr. Karen Schmidt for her strong leadership to this initiative. Dr. Abbey Nutsch is bringing a new level of scrutiny to our formal food science program assessment activities, both undergraduate and graduate, and we will continue to look for ways to effectively utilize this assessment information to improve our academic programs. We are focusing a high level of attention to undergraduate student recruitment, and the recruitment committee is energetically initiating a campaign to draw the brightest students possible into our Science and Operations Management (Business) options. There are no better majors than Food Science & Industry here at K-State, and we must get the word out across Kansas, the region and even the nation! In an interim position, you never know how much time you have to accomplish your goals; however, I’m asking everyone involved with the FSI to help me accomplish positive things for our food science program. Priorities for me include increasing interactions with industry stakeholders, increasing the number of student opportunities (eg., internships and scholarships, international experiences), having more productive engagement with our K-State Olathe colleagues and programs, synergizing with the K-State Global Food System Initiative for mutual benefit, and increasing Food Science student numbers. Please let me know when you have needs and/or ideas in which the FSI can assist, and students and faculty/staff, have a great Fall 2017 semester! Abilene-Omitama Sister City Board visits FSI! 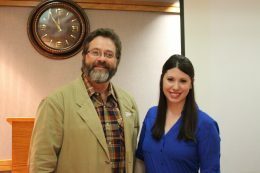 A connection program between two cities over 6,000 miles apart made its way to the Food Science Institute last week. The City of Abilene’s Abilene-Omitama Sister City Board hosted the 16th delegation from Japan. 20 delegates from Omitama had arrived, 16 students and four adults. The exchange takes place every year. The Japanese guests visit Abilene in odd years and Abilene sends a delegation to Japan in even years. On Friday, the middle school students visited FSI to learn about food science. Dr. Fadi Aramouini and Dr. Kelly Getty, with the assistance of various food science students, provided a hands on experience for the visiting students. 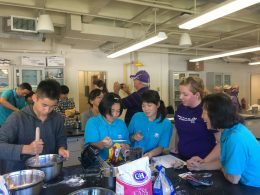 This included teaching the students how to make chocolate chip cookies, learning about nutrition labels and the different kinds of American foods. We hope these students enjoyed their stay and continue to learn more about exciting food science field! This fall, Morgan will return to K-State to begin a new role. 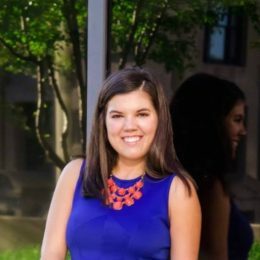 She will be joining the FSI team as the new Social Media and E-Newsletter Writer, and we couldn’t be happier to have her join us! Her second summer job at Olson Plumbing and Heating has also provided valuable experience. “So far here I have written and developed the new summer commercial, done web-writing for the website, designed new business cards, infographics, and proposal documents, and put together promotional swag items for trade events,” said Morgan. She’s hoping to bring the skills she developed and her excitement for the profession to the Food Science Institute. “I hope to get FSI noticed more around K-State and Manhattan, whether that be incorporating SnapChat, radio ads, or hosting special events for FSI around town,” said Morgan. 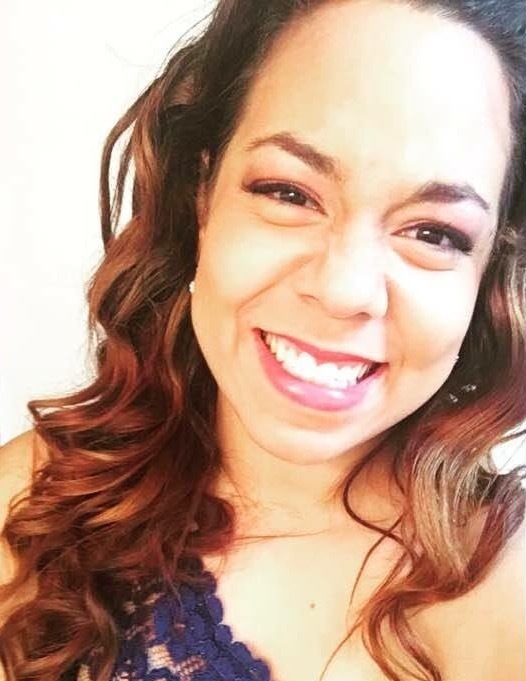 When she’s not working hard in her jobs or her classes, Morgan enjoys taking time for her various creative outlets; drawing caricatures of people or fun DIY projects. And of course, hanging out with her pet tarantula. The “gift that keeps on giving”… the Academic Resource Center! In just a few short weeks, we’ll be welcoming incoming freshmen to the food science program! The first few weeks can be overwhelming for new students, so make sure to check out this important resource just for food science students. Inside 216 Call Hall, you’ll find the Food Science Institute Academic Resource Center (FSI-ARC). This is designed to reduce the cost to students of obtaining an undergraduate food science degree by reducing the ever-increasing costs of buying textbooks each semester. Here, you’ll find multiple copies of textbooks for a wide variety of classes (see here for the full list). These textbooks can be checked out by food science students on a daily basis, or overnight if desired. This center was made possible thanks to a generous donation by Danisco. Also in 216 Call Hall are two computers and a printer available to students for last-minute assignments and projects. In addition, students can enjoy the Fountaine Reading Room Library, available so students may study without being disturbed. The library is also a useful space for group work, and contains multiple textbooks, journals, and magazines available for student use. We hope our new students enjoy these resources as they begin their food science education. For any questions, please contact Elsa Toburen at etoburen@ksu.edu. Georgia’s hard work and perseverance has opened new doors for her. “Now with my degree, I have been able to launch into a new professional world, working with some of the top research professionals within my company, helping to launch new products, and gaining invaluable knowledge and growth,” said Georgia. Congrats to our food science product development team! 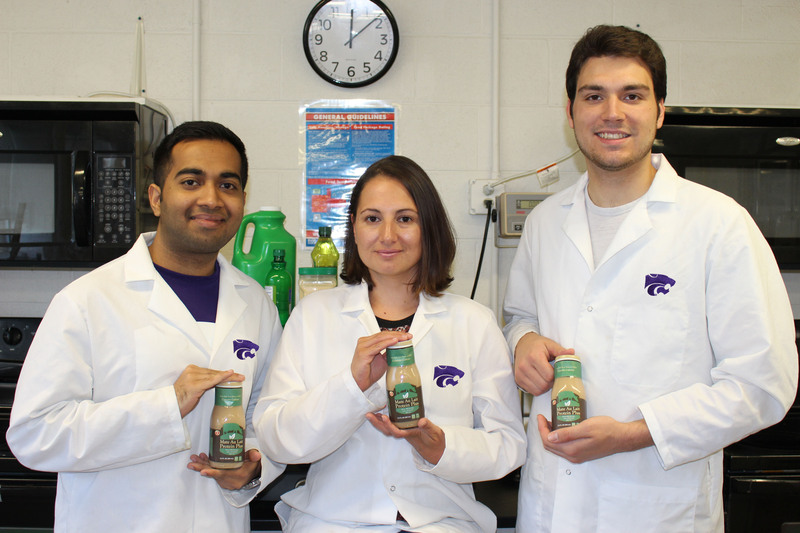 K-State’s own food science product development team consisting of K-State food science undergraduate students Mayla Kritski Baez and Conrad Kabus and graduate student Karthik Sajith Babu recently won 2nd place in the 2017 National Dairy Council New Product Competition! The team advisor is Dr. Jayendra Amamcharla. 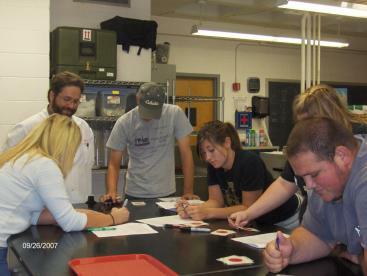 The team was originally selected as one of the “Top 3” outstanding student teams, allowing them to move on to the final round. 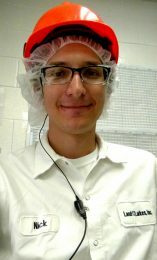 Their 2nd place finish was announced on Tuesday, June 27th at the American Dairy Science Association Joint Annual Meeting in Pittsburgh, PA.
Nick Fief has always been a science fanatic. So when a neighbor mentioned the variety of career options in the field of food science, he knew he had to take a look. Some student struggle when deciding on a career choice. 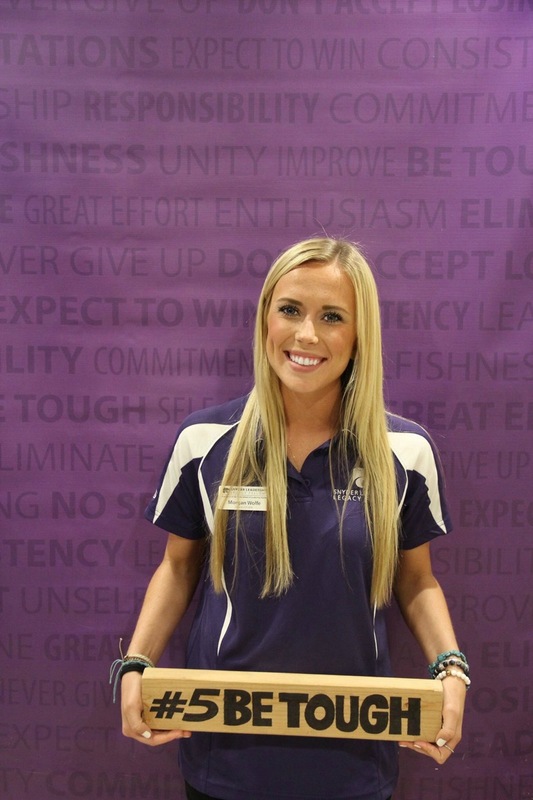 For recent graduate Amanda Wilder, the decision was an easy one. Meet Your Student to Student Recruiter Austin Weber! We’re continuing our profiles on student to student recruiters, and this week we’ll learn a little more about sophomore in food science Erika Kringen! Becoming a student to recruiter allows Kringen to show potential students the opportunities a degree in food science can afford them. According to Kringen, there are some difficult decisions that come with choosing a degree path. Kringen hopes to make these tough decisions easier on the potential students. The Food Science Institute has recently selected four undergraduate students as student to student recruiters. We’re so excited to welcome them to the team, and introduce them to everyone! The Food Science Institute is excited to announce that we will be attending the 2017 IFT Annual Meeting and Food Expo at Sands Expo, Las Vegas, NV June 25-28! With over 20,000 attendees, 100 sessions, and 1,200 exhibitors, IFT17 promises to offer a variety of ideas “to provide each and every person on the planet with a safe, nutritious and sustainable food supply,” according to their website. The Food Science Institute will be sharing booth #3670 with Masters of Agribusiness (MAB). K-State Global Campus representatives will also be in attendance. And of course, Willy the Wildcat will be there to say hello! Whether you’re an alumni or curious about the food science industry, we encourage you to attend IFT17 and visit our booth. Learn more about our programs, attend sessions on the industry, and take a selfie with Willie! The Spring 2017 ASI/FDSCI Undergraduate Research Symposium was held on May 9 in Weber Arena with 37 students presenting the results of their undergraduate research projects. The course-based undergraduate research project was funded by Koch Industries, Inc. Programmatic support from Ron Gustafson allowed for 4 students to be recognized as Outstanding Undergraduate Researchers, each earning $500 awards. The following FDSCI student was awarded a scholarship from Education Abroad for study abroad during Summer/Fall 2017. Mortar Board Senior Honor Society at Kansas State University has selected its new members for the 2017-2018 school year. The 29 students are charged with upholding the organization’s ideals of leadership, scholarship and service on the university campus and in the Manhattan community. Congratulations to our own Megan Steward, senior in food science and industry from Garden City, KS! For more updates on K-Staters in the food science program, follow us on Twitter, Facebook and Instagram. Krug began his new job in April, working as a State Specialized Extension Agent, Food Science with the University of Florida, based at the UF – Southwest Florida Research and Education Center (SWFREC) located near Immokalee, FL. Krug will be helping teach workshops in the area of food safety and food entrepreneurship. He is also in charge of a food quality lab at a local culinary business accelerator that is currently under construction in Immokalee. Despite the distance, Krug said he is already making plans to return to K-State. “I will miss being able to easily go to the football and basketball games, but am looking forward to flying in and reuniting with family and friends at a couple of games this fall,” said Krug. Krug’s major professor was Dr. Randall K. Phebus. For more information on the graduate program, please visit here. 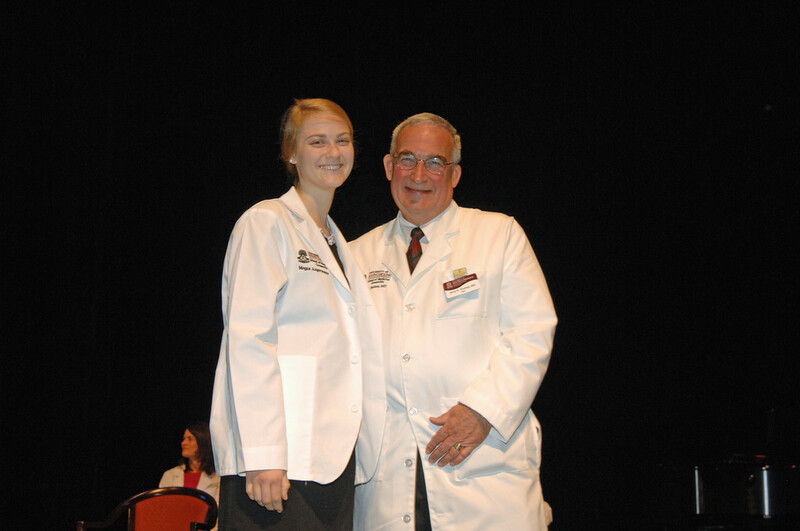 Megan Angermayer has just completed her first year at University of South Carolina School of Medicine. 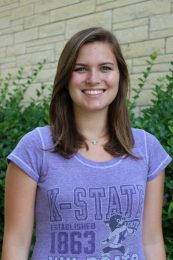 While it’s been exhausting, the former K-State student has been able to utilize her knowledge from her undergraduate degree in food science. Angermayer was initially drawn to food science while planning for her future in medical school. “The curriculum overlapped with pre-med very well, while also providing me a great back-up plan if I decided medicine wasn’t for me,” said Angermayer. Angermayer advises students to study hard, and begin working on building their resume early. She also recommends undergraduates enjoy their free time, since that tends to disappear in graduate school. We’re very excited to see our graduate students this weekend for graduation! 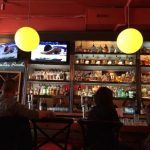 Since many of you will be coming to Manhattan for the first time, here’s a list of places to visit if you have the time. 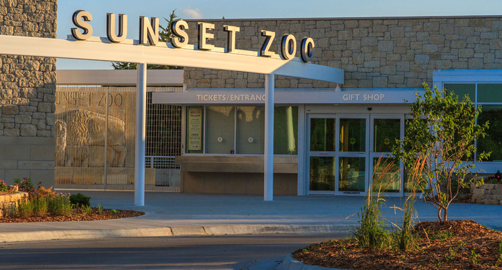 Sunset Zoo is open Saturday-Sunday 9:30 a.m. – 5p.m. 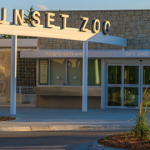 This zoo has a unique layout, follow the path to catch a glimpse of animals from various continents, or explore on your own and check out the large section of the zoo devoted to the Kansas Plains. 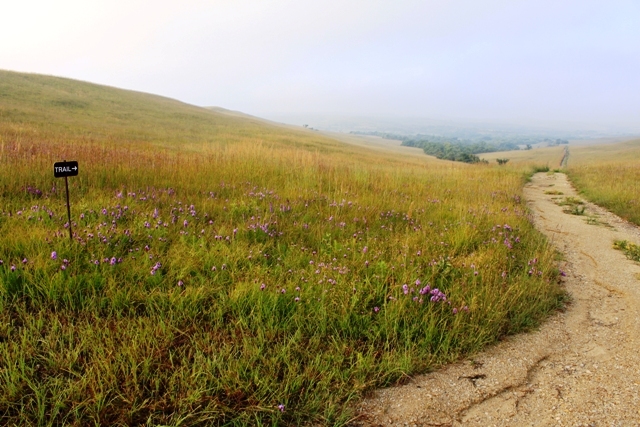 This museum is especially devoted to the wonders and history of the Flint Hills. Exhibits include Shaping Winds & Waters; Blowing Winds in a Tallgrass Prairie; The Underground Forest; Winds of the Past; Where the Air is so Pure; Voices of the Flint Hills; and Stepping into the Prairie. The trendy restaurant is designed to allow visitors to enjoy as many smaller portion plates as they can handle. 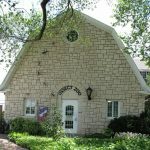 It’s located along Poyntz Avenue, which makes for a lovely post-dinner walk. 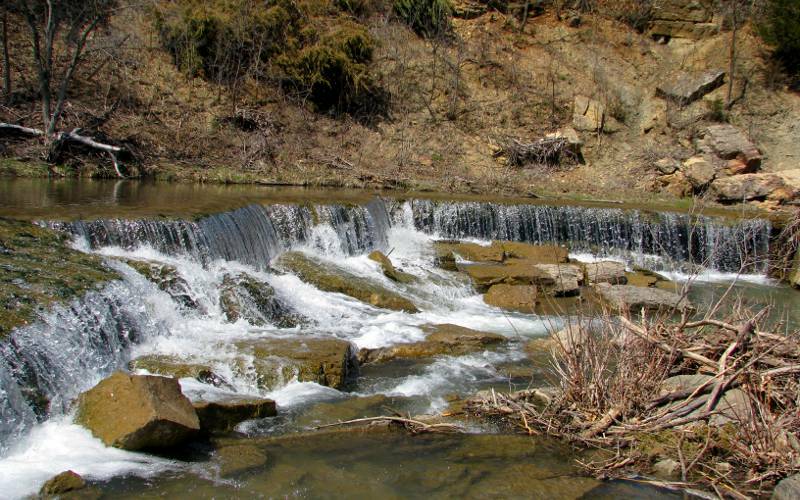 If the weather is warm and sunny, take a trek on down to Pillsbury, a 60 feet long, 5 feet high waterfall a few miles southeast of Manhattan. It’s open 24/7 and is free to the public. 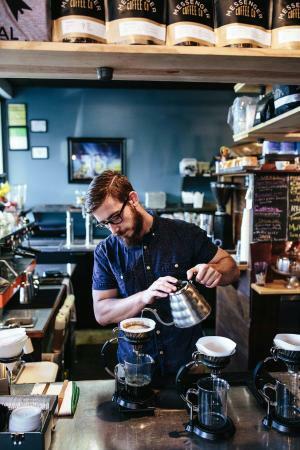 Arrow has a unique range of coffee for the caffeine connoisseur. 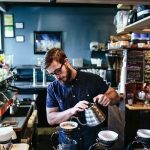 They specialize in hand crafted everything; coffee, cocktails, and food. 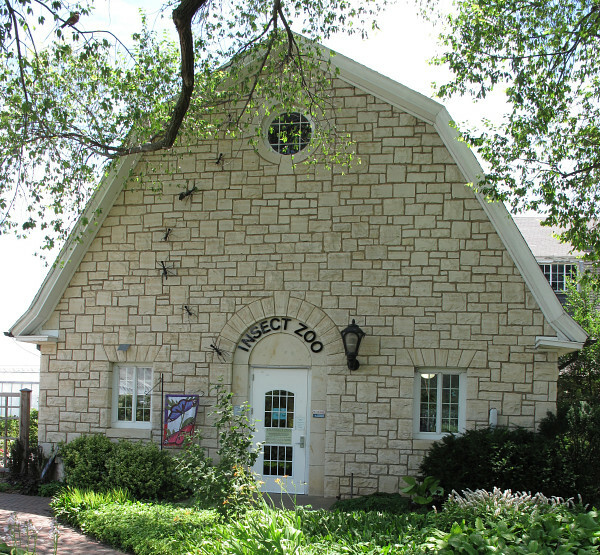 Open Tuesday-Friday 1pm to 6pm and Saturday 12pm to 6 pm, the Insect Zoo is a fun way to see the various insect habitats and environments, housed in the old Dairy Barn. 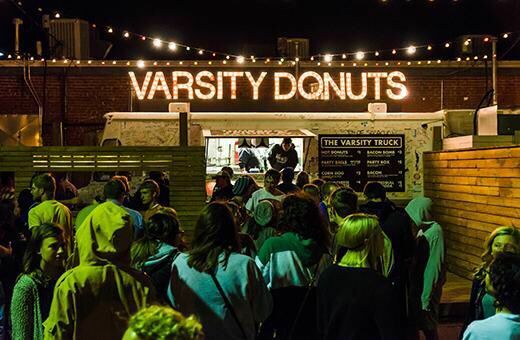 Varsity is a staple for many students in Manhattan. By day, you can stop by the shop and grab a donut (or more). 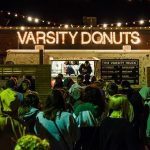 On Thursday, Friday and Saturday night after 10 p.m., the store closes and the food truck opens, serving late night food needs with items like grilled cheese mac ‘n’ cheese and bacon fritters for anyone who steps in line. 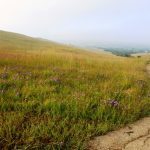 The Nature Trails of this native tallgrass prairie preserve are open to the public from dawn to dusk. 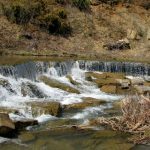 Nature walks can vary based on which trail you take; Nature Trail is 2.6 miles, Kings Creek Loop is 4.6 miles, and Godwin Hill Loop is 6.2 miles. While there, it’s important to observe and follow the rules, as the Konza Prairie is used for research. You can find posted rules here. 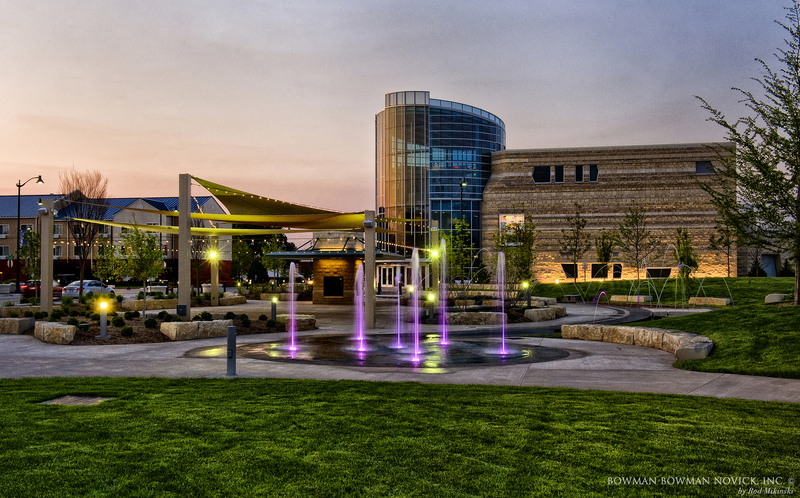 If you need space to walk your dog, we recommend checking out the Washington Marlatt Memorial Park, which is sometimes called “The Little Konza,” or Linear Trail. Let this be your last stop before you leave the ‘hat. Be sure to pick up a quirky gift or memento to commemorate your time in Manhattan. Congratulations on graduating, we can’t wait to show you all that Manhattan has to offer! 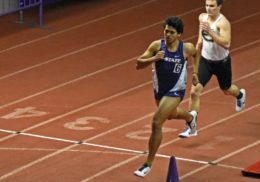 From there, Sherwin went on to shadow at K-State Olathe and attended K-State Open House. According to Sherwin, the importance and prevalence of food in everyday life drew her to food science. She said she’s enjoyed figuring out how to produce safe, quality food for consumers. Since arriving at K-State, Sherwin has kept busy. Working as a lab assistant for Professor Aramouni, becoming captain of the quiz bowl team, and reshaping the food science club all played a major role in Sherwin’s undergraduate involvement. The food science club in particular holds many memories for Sherwin, who was responsible for creating the social chair position, before eventually becoming president of the club. In addition to preparing recipes, the club orchestrated a food safety project during tailgate at Bill Snyder Family Stadium. Members passed out meat thermometers and aprons, and educated patrons on the importance of food safety, leading many to begin using the free equipment. Following graduation, Sherwin will be moving to Minneapolis to work in Cargill’s salt production. She credits the internships she had for preparing her for her next step. 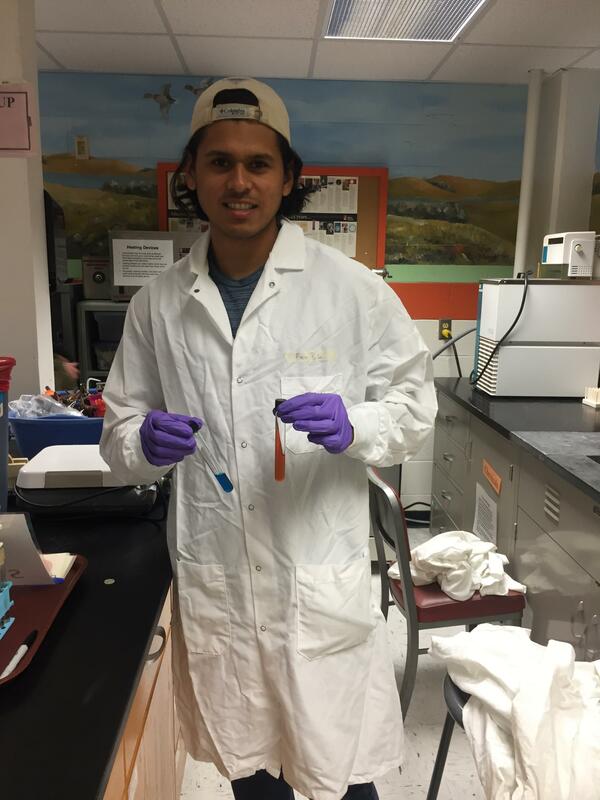 Sherwin advises other students to make the most of their time in the food science program. 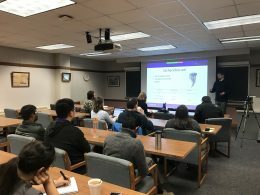 “Get involved in the program, join the club, have internships, and don’t be afraid to ask for different opportunities because the professors are really great here and will help you,” said Sherwin. Upon finding out she would be the Outstanding Senior Award recipient, Sherwin said she was “really honored and flattered.” With such a remarkable undergraduate career, it’s no wonder she was selected! The food science product development team consisting of K-State food science undergraduate students Mayla Kritski Baez and Conrad Kabus and graduate student Karthik Sajith Babu were recently selected as one of the “Top 3” outstanding student teams in the 2017 National Dairy Council New Product Competition. The team advisor is Dr. Jayendra Amamcharla. The product, “Mate Au Lait Protein Plus,” was selected for, among other factors, “(a) great tasting product, unique process to create flavors, strong written report, and good use of whole milk,” according to the judges report. 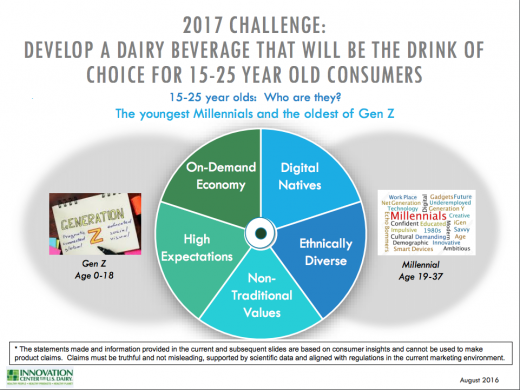 The challenge for this competition was to develop a dairy-based drink of choice for 15-25 year olds. The first, second and third-place winners of the competition will be announced on Tuesday, June 27th at the American Dairy Science Association Joint Annual Meeting in Pittsburgh, PA. Originally, when Marla Yerges began her undergraduate degree, her goal was to become a veterinarian. As she continued to pursue chemistry at Indiana University, she found herself drawn to the food science industry through various internships, and discovered a love for product development. Yerges found herself working at a protein ingredient development company, looking to further her education. 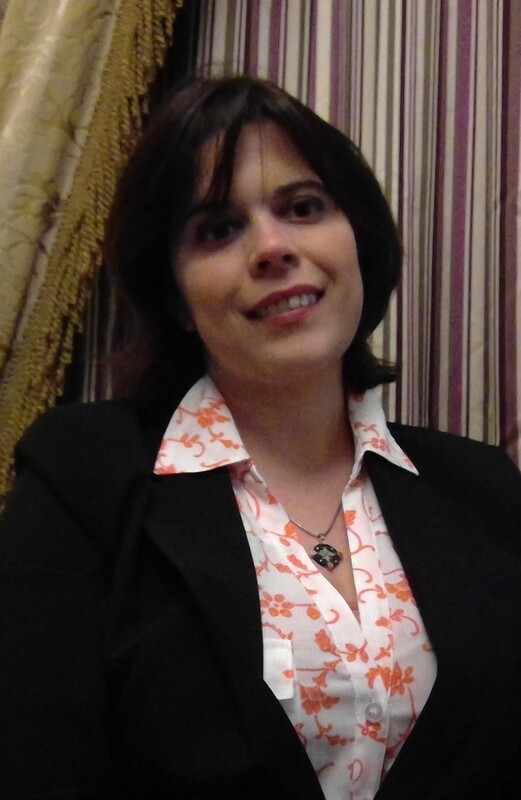 “When I started working in my current job, they encouraged me to get my masters,” said Yerges. “I wanted to study food science. 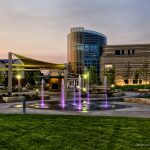 I live in St. Louis and they don’t offer that.” This led Yerges to search for online programs, and found K-State’s online graduate program in food science. Yerges visited K-State to get a feel for the program, and immediately liked what she saw. “We came here to visit and we talked with Dr. Fadi Aramouni and it seemed like a good fit,” said Yerges. Married with a small child, Yerges said the flexibility of the online program worked better for her as opposed to a traditional program. The online component allowed her to study around her job and her child’s schedule. Yerges also managed to fit an in-person class into her schedule. 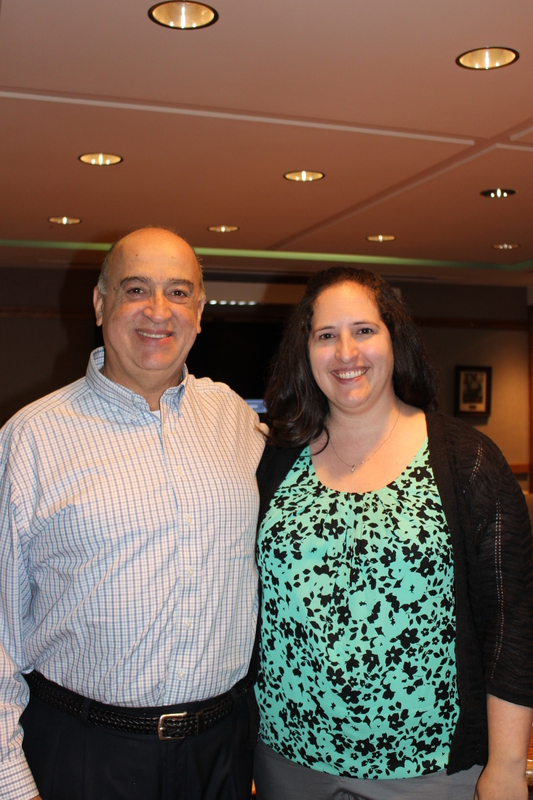 With the recent passing of the Food Safety Modernization Act (FSMA), Yerges took a three-day course to become certified, and would encourage other students to do the same, if possible. “If you have the opportunity to do that, you feel like you’re part of the school,” said Yerges. Additionally, Yerges suggests visiting the school beforehand and getting to know the faculty. Yerges said doing so before classes began helped her get to know her professors and the online setup. Finally, Yerges takes every opportunity while in Manhattan to purchase K-State gear. She recently picked up a K-State shirt for her son, so he can be ready when she walks across the stage to get her diploma this May. Graduating from California Polytechnic State University with an undergraduate degree in BioResource and Agricultural Engineering, Frederick knew he wanted to return to graduate school at some point. Working at the E & J Gallo Winery in a variety of roles, Frederick wanted to break into product development, and began searching for graduate programs. Frederick’s defense seminar, entitled “The Impacts of Thermal Processing on Terpenoid Based Flavors in Food Systems,” formed from a desire to break away from winery and focus more on aromas. This allowed Frederick to study the key markers of high quality juices. The flexibility of the program was also a draw for Frederick. “’The advisors work very close with the industry, and they understand that sometimes you’ve got 100 tons of fruit coming in the door and you have to put school aside for awhile,” he said, referring to the busy harvest season at the winery. Following his brief stay in Manhattan, Frederick will be returning to E & J Gallo Winery, ready to apply his broader knowledge of food science.